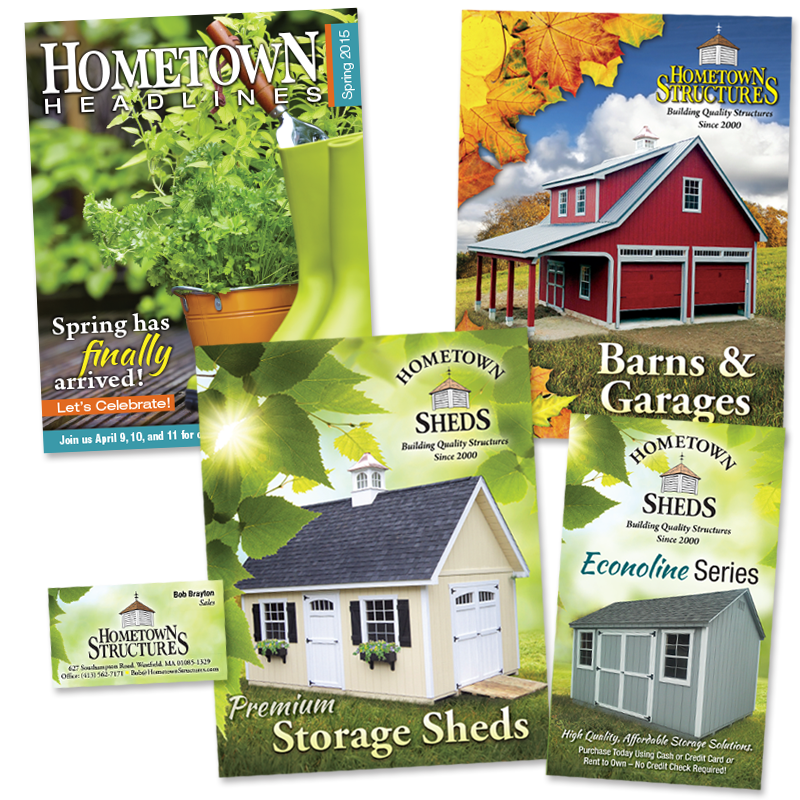 We may be heading for a paperless society but you will still need to give people your business card and a brochure, even if you have your web site on it. We aren't going completely paperless – at least not yet. 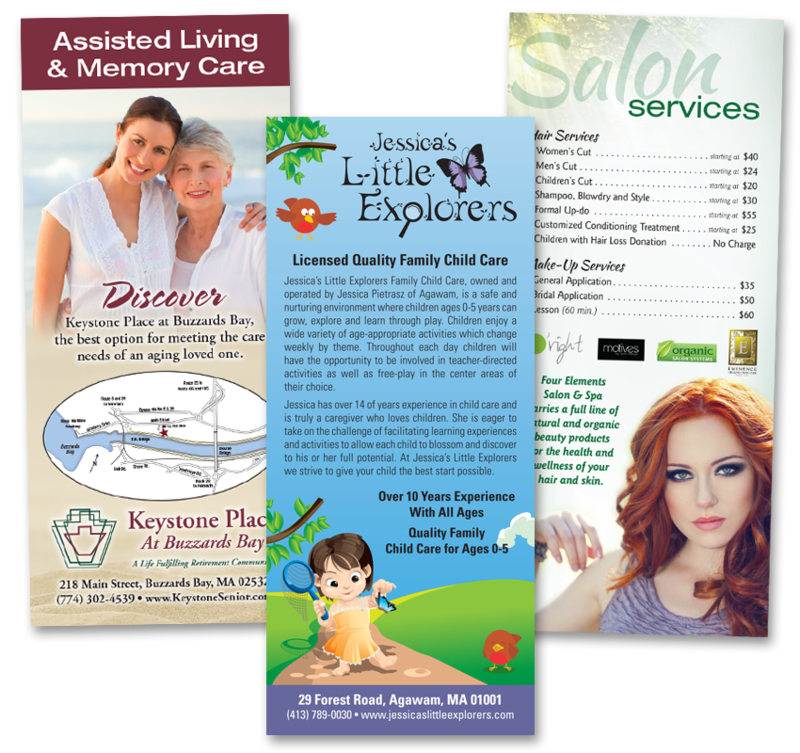 I create printed pieces and quality effective design that will get your message across in an attractive, clear and concise manner. 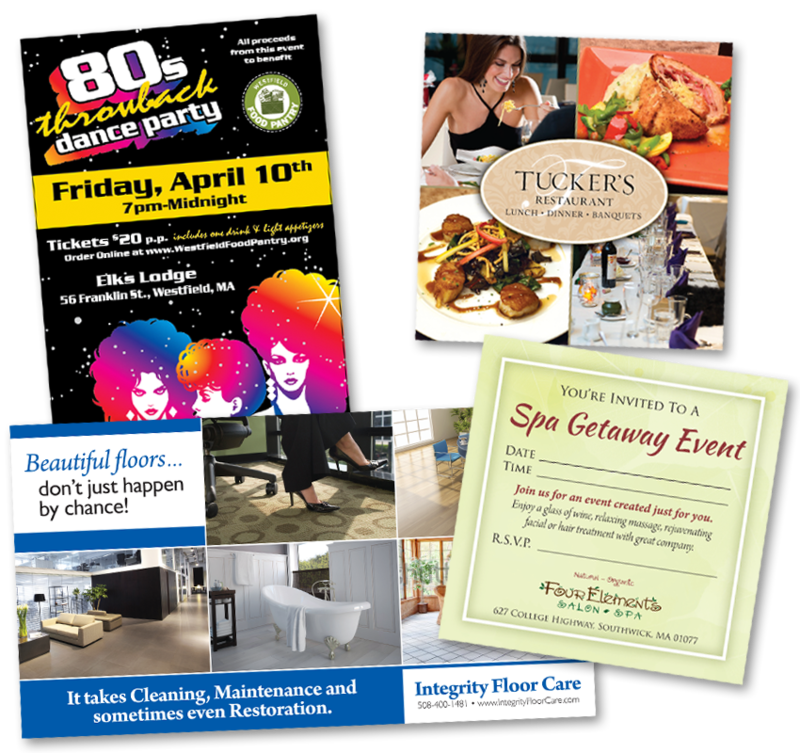 I also offer Print, Signage & Web Liaison Services so I can take your project from idea to final piece, whether it be a postcard mailed to your target clients or an ad to announce your product or service. Pricing does not include sales tax or design charges, includes standard production time and ground shipping, rush production and expedited shipping may be available for an additional charge. 16pt, linen paper, spot-gloss, oval, rounded corner and folded business cards also available. Ask for a quote. Pricing does not include sales tax or design charges, includes standard production time and ground shipping, rush production and expedited shipping may be available for an additional charge. Ask for a quote. 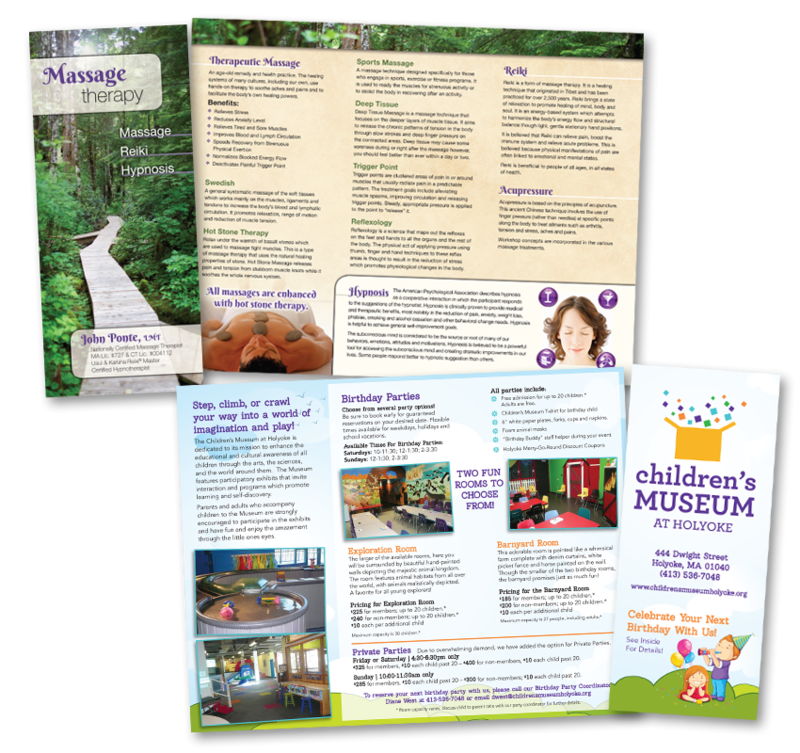 Keeping all your marketing materials consistent helps to build brand recognition and is more professional. 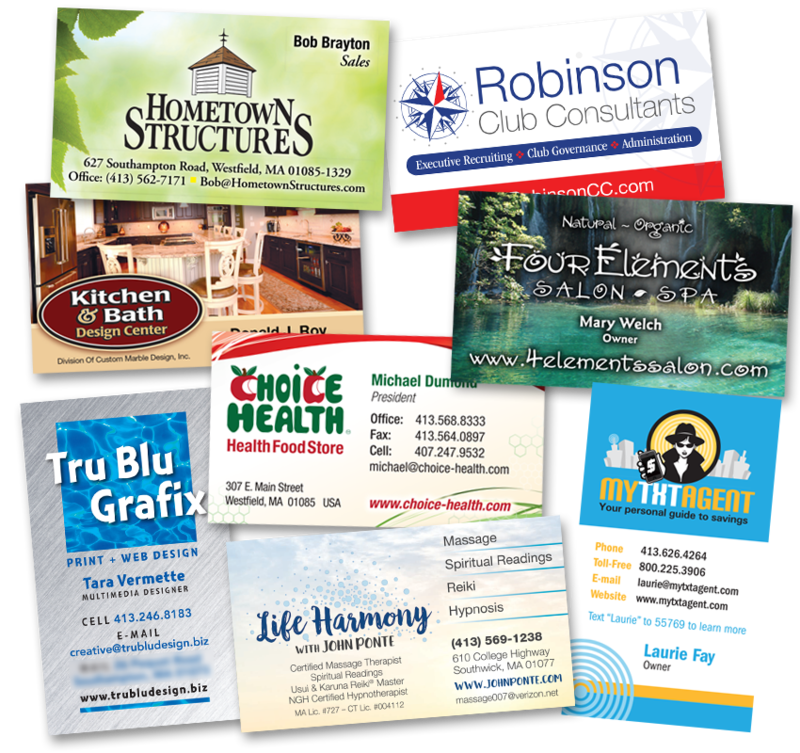 Does your logo need a refresh or a complete overhaul? Contact me for details.